MALVAN is a town in Sindhudurg district of the state of Maharashtra. Situated on the coast of western India, it has some really beautiful beaches and a rich cultural life. Hello guys! There are a number of factors which play a part when deciding on what would be our next travel destination. I believe that of all the factors, what plays a very important part is our own preferences. 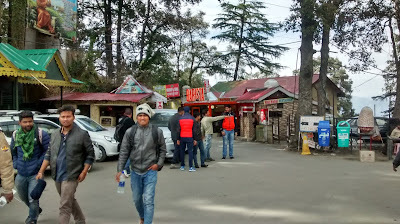 Usually, in India, people like to go to well-known places, about which they have heard a lot and have sufficient word of mouth information too. Particularly if it is a family vacation. However, if we do a little research, we will find that there are so many places which are still largely unexplored but equally or even more amazing than the regular places we visit. I, for one, love to explore such places. Would you like to travel to such offbeat destinations? One of such places, I have found absolutely enchanting is Malvan in Maharashtra, India. 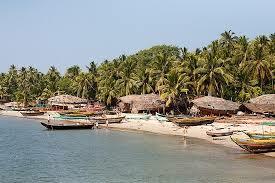 Malvan is located about 505 km(314 mi) from Mumbai and 140 km(87 mi) from Ratnagiri. It boasts of historically important Sindhudurg fort which, when translated literally means Ocean Fort. 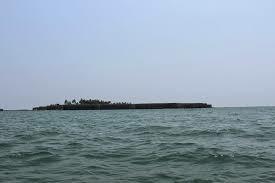 Sindhudurg is a sea fort, surrounded by water from all sides and can be reached only by boat. Built by Maratha warrior Shivaji in 1664 on Kurt island, it was completed in 2.5 years. It contains three sweet water wells. 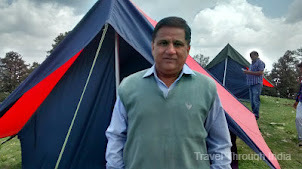 ATTRACTIONS IN MAVLAN - Apart from Sindhdurg fort, there are a number of tourist attractions here. Tarkarli Beach - This is situated 8 km from Malvan town. It boasts of serene surroundings. It has sand particles which are devoid of any red tinge and sky reflecting waters. If you go further north for about 6-7 km, you will see Tarkarli creek and a lovely estuary. A great way of spending time here is a boat ride to the creek. Rock Garden - Located on the rocky shore of Malvan, it is situated near Arase Mahal. Tendavali Beach - It is located 19 km north of Malvan. Achra Beach - It is located 22 km north of Malvan. Devbaug Beach - It is located 12 km south of Malvan. Vetal Mandir - It is 4 km north of Malvan. Sai Bollywood City - It is located in Dikwal village in Malvan and is approved by Maharashtra Tourism Development Corporation. Apart from visiting Sindhudurg fort and relaxing on clean beaches, there are many more things you can do here. Marine Wildlife Sanctuary - As Malvan is surrounded by sea, this is a marine wildlife sanctuary. Due to its rocky terrain, it is ideal for marine life. It was established in 1987. Here the main attractions are black-headed gulls, terns, plovers, waterfowl, ducks and egrets. 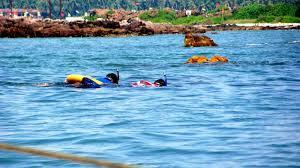 Scuba diving and snorkelling - There are very few places in India, which provide scuba diving facilities. As seawater is relatively clean here, it becomes a perfect spot for scuba diving and snorkelling. You will also find live corals and colourful marine life near the outer walls of Sindhudurg fort. Water Sports - You can indulge in water sports in Malvan. There are many options available here. You can visit Tsunami Island(nothing to do with Tsunami waves though). It is a small island near Devbaug beach. You can enjoy boat ride here in the backwaters of Tarkarli river. You can also do Jet skiing, banana boat ride, bumper boat ride and kayaking etc. here. By Air - The nearest airport is at Dabolim in Goa which is 145 km ( 92 mi) away. From here Malvan is well connected by road. By Rail - Nearest railway station is Kudal which is 28 km (18 mi) from here. Daily trains are available from Mumbai to Kudal. From there it is again well connected by road and you can get buses or cabs. By Road - M.S.R.T.C. runs daily buses from Pune to Malvan (400 kms/250 mi). Also, Kolhapur is the central bus junction, which is 100 km (65 mi) from Malvan. CLIMATE - Climate here usually remains the same throughout the year. It is warm and moderately humid, with temperatures ranging from 16 to 33 degree Celsius. FOOD - People here have a staple diet of rice and fish curry. It has a famous sweet Malvani Khaja. Apart from this, other seafood is also available here. WHEN TO VISIT - The best time to visit Malvan is October to May. WHERE TO STAY - There are a lot of guest houses and hotels of all budget available in Malvan. Just check out FABHOTELS for best hotel deals. So if you love clean beaches, water sports and adventure, pack your bags and head straight to Malvan. P.S. - Which other beaches would you like to know about? Write in comments, please.